Last week my sister called to tell me that she found a day cream she absolutely loves. 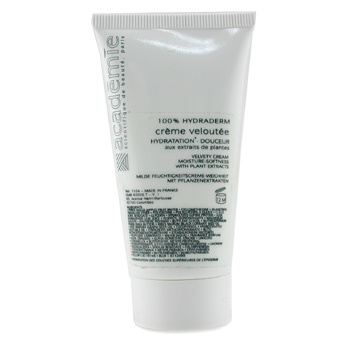 The cream which made her so enthusiastic is Academie 100% Hydraderm Velvety Cream. A special ingredient in this cream’s composition is water apple, specially formulated to provide instant hydration. The cream is suitable for normal to dry skin. After you use it for a couple of weeks, your skin will look radiant and smooth.